At Maurice Moffett Ltd we provide our customers with a range of specialist services that delivers all their engineering needs. 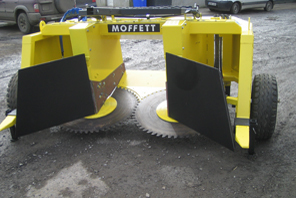 Maurice Moffett Engineering is proud to announce the arrival of our new Willowmaster cutting attachment. 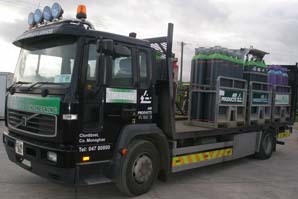 Due to the new trend in the farming world of willow growing, a market exists for an Irish built willow harvester. 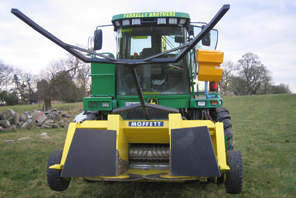 For the fast efficient harvesting of willow at any stage of growth the unit features a quick attach system for ease of fitting and removal and can be built to suit various types of self-propelled harvester. 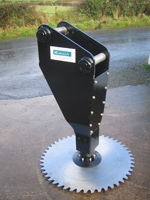 To see our Willowmaster in action click here. 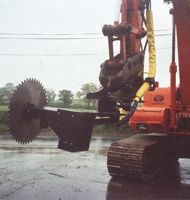 Over 30 years of arduous field testing have gone into the design and production of the Bushmaster Hedgecutter, giving it exclusive features which up to now have not been available in this type of machine. 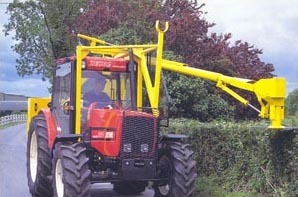 Sturdily constructed, well balanced and easily operated with fingertip control from the tractor seat, the unique design features give the Bushmaster a flexibility resembling the movement of the human arm and hand allowing the operator to work in the most confined areas and difficult conditions. 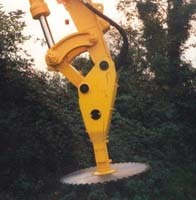 This is a saw head fitted via quick-hitch on a track machine. The advantage if this unit is minimal damage to fields in wet ground conditions. 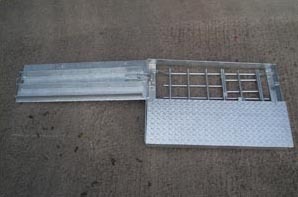 We manufacture a range of galvanised man hole covers suitable for the pre-cast industry. One of our range of manhole covers can be seen here. In our machine shop, we specialise in the manufacture and repair of hydraulic cylinders and drive shafts as well as our general machining service. 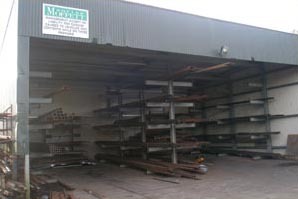 We stock a wide range of steel supplies for sale including tube box selections, round bar, flat, angles, channels and a wide range of sheet and plate. We are also one of the leading agents for "Air Products" industrial cylinder gases and offer a delivery service on same.